It was the biggest surprise of this year’s Solo movie spin-off. Darth Maul, who hasn’t been seen in a live action Star Wars movies since 1999’s The Phantom Menace, is back. And once again it was Ray Park playing the character’s body, while animated series The Clone Wars’ Sam Witwer provided the voice. 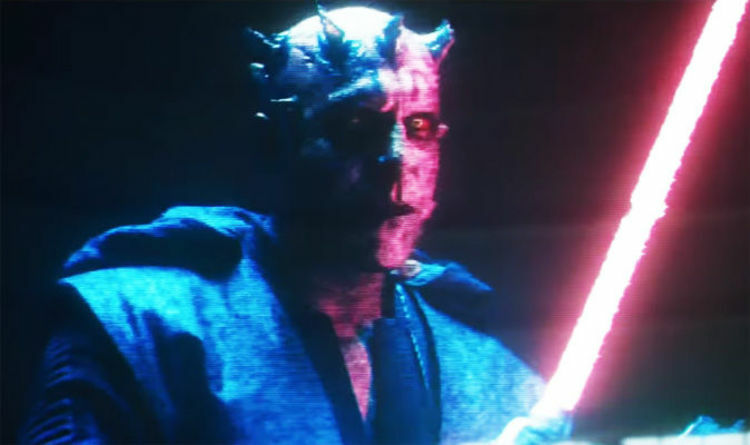 The short hologram scene saw Maul revealed as the true head of Crimson Dawn, as Qi’ra informed him that Dryden was dead. Park’s Maul appeared with a new lightsaber and sporting his mechanical legs, as seen in the animated Star Wars Rebels series, which is set after Solo. Now Disney have released the scene and two official shots of the villain prior to Solo’s home release. Both snaps show Maul with lightsaber on, with one with his hood up. Fans were also treated to a proper look at those robot legs of his. With such a cameo it’s clear this is just the beginning of Darth Maul’s return to live action Star Wars. Presumably a Solo sequel would see the smuggler come face-to-face with Maul at some point. Although the spin-off’s box office takings were embarrassingly under $ 400 million, while other recent Star Wars movies have all made over $ 1 billion. So perhaps Darth Maul will need to appear in a different Star Wars movie set around this period of the timeline. Although it’s worth noting that Disney are releasing their own streaming service next year. No doubt they will put exclusive original content there like the upcoming Star Wars TV series from Jon Favreau. So maybe Darth Maul’s future will be found in skipping the cinemas and going directly to a streaming only movie. Solo: A Star Wars Story is released on Blu-ray and DVD on September 24, 2019.